If you’re an entrepreneur, the big buzzword these days is ‘mastermind’! You’ll hear the word everywhere and it seems everyone wants to belong to a mastermind program of some kind. But not everyone is quite sure how to get one started, or more importantly, how to keep one going! 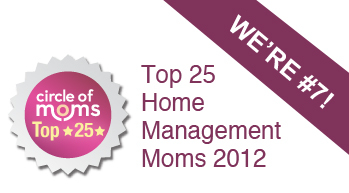 I have hosted different group mastermind via a webinar for more than five years now. Currently my small group coaching mastermind meetings happen every other week and are a limited time frame: participants can opt in for 6 month periods. And they can extend their commitment by leveling up to Level 2. Most of my mastermind members stay involved for two to three rounds… which is the time it typically takes to fix your business marketing and get everything in order. The mastermind program offers training, online modules and live calls to support them to build their skills, enhance their websites and create robust offers. Run a mastermind group anywhere from your laptop! Most mastermind groups are comprised of people who are geographically diverse and located literally around the world. I am a visual person and very focused on relationships… so, I love the ability to be face to face with my small group masterminds. (And they love it too!) Something about being in person creates a ‘safe space’ which is all possible through webinar technology. Members can join at set times via laptop or by phone. I have a light subscription to anymeeting – My live webinar size is capped at 25 people. It allows me to pre-schedule recurring meeting times which makes it easier for everyone to join. I have used a facilitated/moderated teleconference line as well, which works well for larger groups – but it’s a first come-first served basis so, I don’t necessarily term those calls masterminds, rather facilitated Q&A calls – which are also very helpful but not really ‘masterminds’. Since my most popular mastermind group is capped at eight people total, I typically host a round robin style of hot seat. 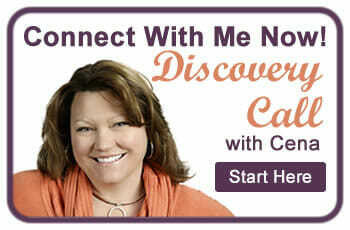 Participants come to each mastermind call with their topics ready. And I typically do a first come-first coached approach (unless someone has to leave the mastermind early). Since this is what I call a hybrid mastermind approach (termed ‘mastermind/coaching program’), I serve as trainer/coach and facilitate the call. Although all participants are welcome to weigh in on other client’s hot seat issues, I typically have a bit more experience. 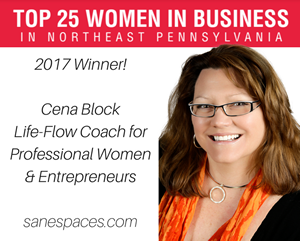 In the Biz Marketing Makeover Mastermind Group my clients are typically in late start-up to early growth stages of business, and so their hot seats are more focused on resourcing and direction (how to, step by step) than pure brainstorming/resourcing as some mastermind programs are. So I am not a participant but as facilitator I share expertise and guidance freely. (Picture a big group brain-picking session plus individual attention toward goals and plans). Typically we start with a brief review: What’s new and good? What has transpired since last we met? Clients bring hot topics – ready to articulate their topic/main obstacle, concern, question(s) right now. Incremental improvement is the name of the game for my ideal clients who are typically in the late start-up through early growth stages of their business development, so this every other week format is really valuable to help support them to keep moving forward. The benefit of the group mastermind calls is that they are ‘virtual’ but still face to face. Each session is recorded for later review by the individual. Participants are free to participate in additional hot seats as an observer/contributor/supporter… and benefit from others in the group who may be focused on different things. 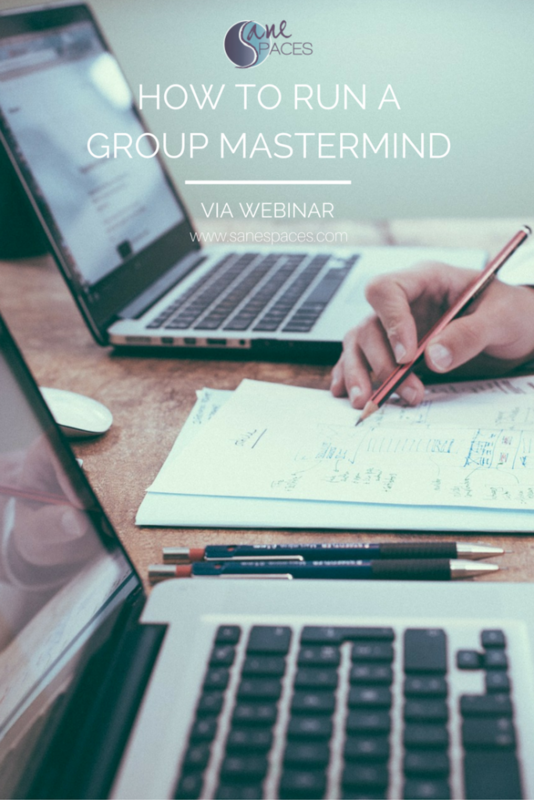 The group webinar mastermind is one of the most powerful (and effective) components of a comprehensive six-month program designed to provide high touch, lots of access to 1-1 coaching, support, and incremental improvement. Between meetings, we also have a group chat forum that allows 24×7 access to participants and me. The exponential impact that live face-to-face webinars have in this format works. Business owners in late start-up have similar issues, struggles and hurdles to jump. So for this particular client, group mastermind webinar sessions work great! Each participant gets the support she needs, she’s allowed to receive expertise by collaborating with others, and together, these aspects create a supportive environment that lasts well beyond the program’s end. What is important to your success is being really clear about your target clients, your mastermind strategy, set up, role, confidentiality, boundaries and a consistent structure and approach. 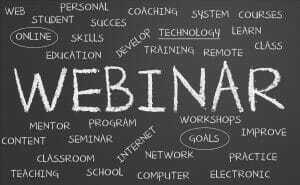 It’s imperative to set up correctly from the beginning so all your participants are aligned and your webinars flow freely. What is your experience with group masterminds? Have you ever used a webinar as a delivery system for a mastermind program? What do you have to offer as suggestions and best practices? Please post your comments or questions in the box below!